Make you Jaguar as unique as you with Genuine Jaguar accessories from Jaguar Dallas. With Genuine Jaguar accessories, you can customize your Jaguar to meet your driving lifestyle. 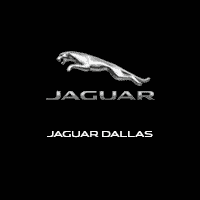 Here at Jaguar Dallas, we offer the quality and factory-tested Jaguar parts, made for your specific new Jaguar vehicle Jaguar XE, Jaguar XF, Jaguar XJ, Jaguar F-TYPE, and Jaguar F-PACE. Jaguar parts and accessories are specially designed for your Jaguar model and come with a factory warranty. Jaguar Dallas Parts Center is staffed with professional, Jaguar factory-trained advisors who work closely with the Service Center to assure the right parts and accessories are selected and installed to Jaguar Land Rover standards.